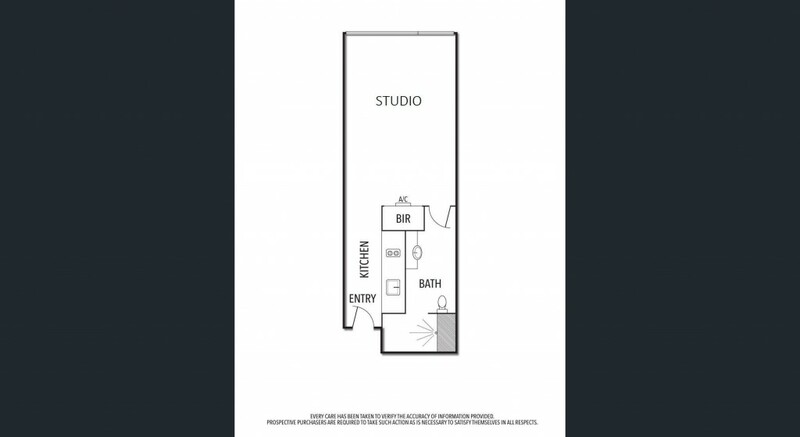 Budget priced and securely leased until July 2019 at $350.00 per week this studio style apartment is a great income producer. The position is fabulous being totally convenient to Melbourne University, RMIT, QV Market, trams, cafes, Melbourne Central and an array of City attractions. The apartment is well presented and includes living /sleeping area with air conditioner, BIR's and a westerly aspect towards Elizabeth Street and Queen Victoria Market.Galley style kitchen including refrigerator and electric cooking.Good sized bathroom and swipe card entry to unit.